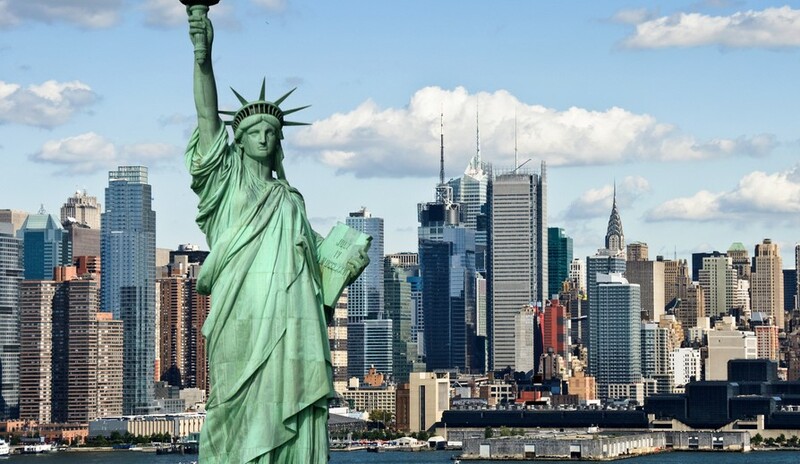 New York: The Big Apple! The city that never sleeps! There is an energy in this city which you have to experience to understand. More than 8 million people live here – and more come in to work every day. There are lots of gyms, dance studios, yoga studios, and other fitness facilities that have our mirrors installed. You can see famous buildings, go shopping, experience Broadway (and off-Broadway) theater. Did you know there are estimated to be more than 800 different languages spoken here? Fitness gyms are expected to have mirrors. People glance at the mirrors to determine whether they have made a progress in their workout plan or not. Individuals like to look at the mirrors while doing an exercise because it helps them stay motivated. They also look at the mirror to achieve the proper way to perform a certain exercise. Mirrors are usually larger in gyms to make it possible for gym members to view their whole body while working out. In order to ensure that clients will be having the ideal top quality mirrors for their gym, they get the services of Gym Mirrors Professional Installation company. Why is Hiring a Professional for Gym Mirror Installation Important? There are mirrors that distort reflection, altering the actual size and the height of the body. They are not recommended for gym use because they give an illusion of making progress. With that in mind, it is important to hire professional mirror installers because they know the right kind of mirrors to use in a gym. Usually, these service providers also offer a myriad of top quality mirrors so the client won’t have to buy from another source, which is convenient. There are different sizes of gyms so each of them must be installed with the right mirror size. Providers of Gym Mirrors Professional Installation can help cater the needs of their clients when it comes to mirror size. Mirror designs are also custom made to fit the wall’s dimensions. The prime reason why you need to hire professional services is because they have the experience and skill to do job easily and properly. Mirrors are fragile objects that need to be secured and protected, right from their delivery to storage. Providers of mirror installation services are composed of experienced technicians that can carry and install big gym mirrors correctly and professionally. As said above, gym mirrors should be of top quality and must fit with the wall surface evenly and securely. In order to attain this, certain factors should be considered such as cutting tolerance, manufacturer’s ISO certification, and quality standards. The defects on glass mirrors are unavoidable, but manufacturers can do something to minimize the flaws’ visibility. This quality standard is regulated by authorities such as the Glass and Glazing Federation. A gym mirror installation is done by hanging a mirror on a wall. The mirror and the wall will be linked together using strong and resilient materials. Adhesive, screws, and J channels are the usual hanging options of most mirror installation companies. Using adhesive to install the mirror requires the wall to be non-porous and free from dirt. The installation requires the effort of two or more technicians to hold the mirror while the adhesive is drying up. It is imperative that the mirror is already set up evenly before the solution fully hardens. Meanwhile, J channels are fastened on the wall to support the mirror. These channels are usually made of aluminum and are strategically drilled into the walls so that the mirror can fit well onto it, thus providing a professional finish. Service providers usually use J-channels if the wall is not perfectly flat. These materials are also easy to install and cost effective. Just like J-channels, screws also require walls to be drilled with holes. Generally, chrome cap screws are used to provide a professional finish. This hanging option allows the mirrors to be moved in the future, unlike adhesives. Gym Mirrors Professional Installation companies may only install the material using J-channels or screws after checking the wall’s integrity. They do this to ensure that back jobs won’t happen. People have varying preferences on how their gym mirror should look on their wall. Some many want their mirror to cover the entire wall while others like to leave a space. They must still seek the advice of a professional though before finally applying it on their gym. If a client will conduct yoga sessions, the service provider may suggest the mirror to be closer to the floor.